Samsung has announced its $480 NX3000 mirrorless camera sporting a 16-50mm kit lens, a special Wink mode for self portraits using the articulated 3.0-inch LCD and WiFi/NFC smartphone connectivity to share images immediately and control the camera. With a 20.3-megapixel APS CMOS sensor sensitive from ISO 100 to 25,600 and five fps burst speed, the camera can save JPEG and DNG Raw captures and movies at 1920x1080 and 30p in H.264 format. There's even a hot shoe on the top panel. The handsome NX3000 body has two helpful features for self portraits. The first is the articulated LCD which can be positioned above the camera and facing forward so you can see what the lens sees. The second is Wink mode which fires the shutter when the camera detects a wink. 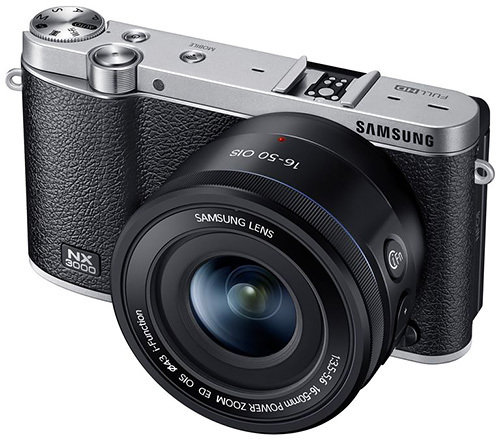 The Samsung NX3000 with the 16-50mm kit lens is available for pre-order at $479.99 from B&H in black, brown or white. The company has not targeted a shipping date yet. More details are in the news release below. 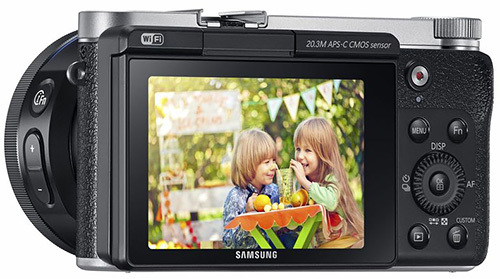 RIDGEFIELD PARK, N.J. -- Samsung Electronics America, Inc., a market leader and innovator in consumer electronics, today announced the NX3000, the latest edition to Samsung's award-winning NX series of compact system cameras. With state-of-the-art technical specifications housed in a retro design, the premium NX3000 is the perfect option for photography enthusiasts who want a stylish device that delivers crisp, high quality images, while easily capturing life moments in stunning detail. "Consumers have come to embrace mirrorless cameras as a versatile alternative to using their dSLRs, point-and-shoots and mobile devices for capturing images and the NX3000 provides another approachable option for aspiring photographers looking to improve their images," said Ron Gazzola, senior vice president for marketing, digital imaging, Samsung Electronics America. "With a similar photo-taking experience to that on a mobile device, coupled with the expandable NX system's lenses and accessories, the NX3000 creates a welcoming opportunity for users to take charge and get creative with photography." 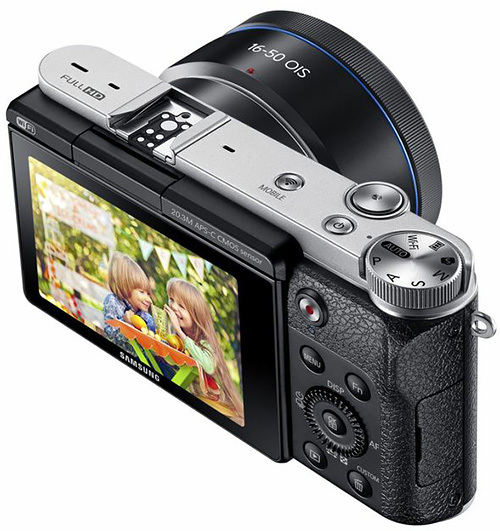 Control the NX3000 via a smartphone with Remote Viewfinder Pro. The NX3000 will be available in black, white or brown and will include Samsung's new compact 16-50mm f3.5-5.6 Power Zoom ED OIS Lens. This powerful yet compact and lightweight lens allows for easy and convenient zoom-shooting, delivering stunning detail in every shot. Additionally, with the 16-50mm Power Zoom lens, users can control the camera's zoom function on their mobile device via Remote Viewfinder Pro, allowing for even more creativity.